Gyming has become a trend nowadays. Being Fit is everyone’s dream now. For an immaculate body shape, one need to focused and dedicated. Gyming enhances body shape as well as keeps one dynamic thoughout. Fitness is for all and everyone should work hard for it. Physical activities increases strength and helps in overall development of the body. Reshape Gym Spa Naraina is opening on 1st October. With the opening, there will be additional discounts on groups and Couple Membership. Also, Early bird will avail special discounts. The Gym is in 5000 Square feet.So, You can workout well in the free space. 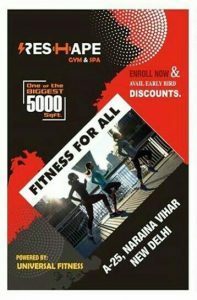 Varun Verma, Peter England MR. India Perfect Body 2016 (Times of India) and Ex Rodies Rising X5 Contestent will be giving Personal Training to the Clients. He is a Fitness Model and is an inspiration to many. 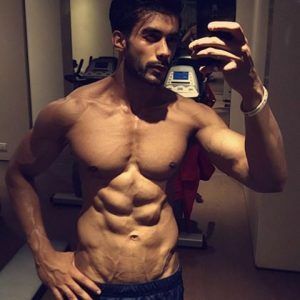 You can contact him for your body transformation planning and get trained under him. Now, let your efforts bring results more vigorously. 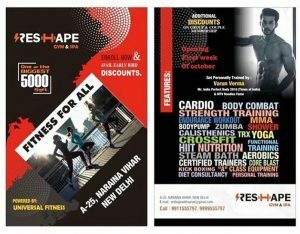 Enroll at Reshape Gym and Spa and Re- Shape yourself as you desire. Enlight your soul and work on your body. It is rightly said – ” THE MORE YOU GIVE TO YOUR BODY, THE MORE IT WILL SERVE TO YOU”. Definitely looking forward to join Reshape gym ❤️ One of the uber cool gym, I have ever visited!! ?